Holidays - email Party Bus Halloween Party to a friend! Grandma always said… beware of the unknown! The way scary movies ought to be! 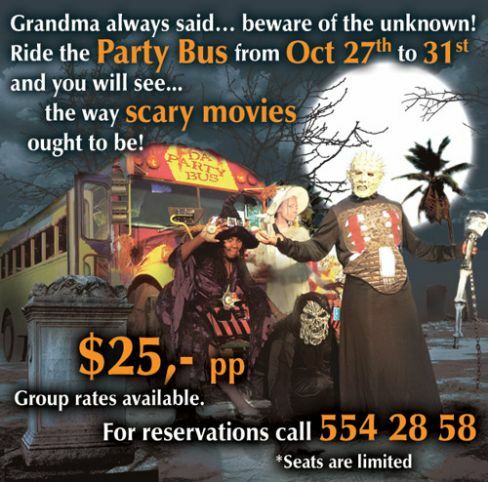 $25,- pp, Group rates available.